Sioux Falls, SD – (May 22 2018) The Sioux Falls Arts Council is looking to promote accessibility to the arts for all ages. 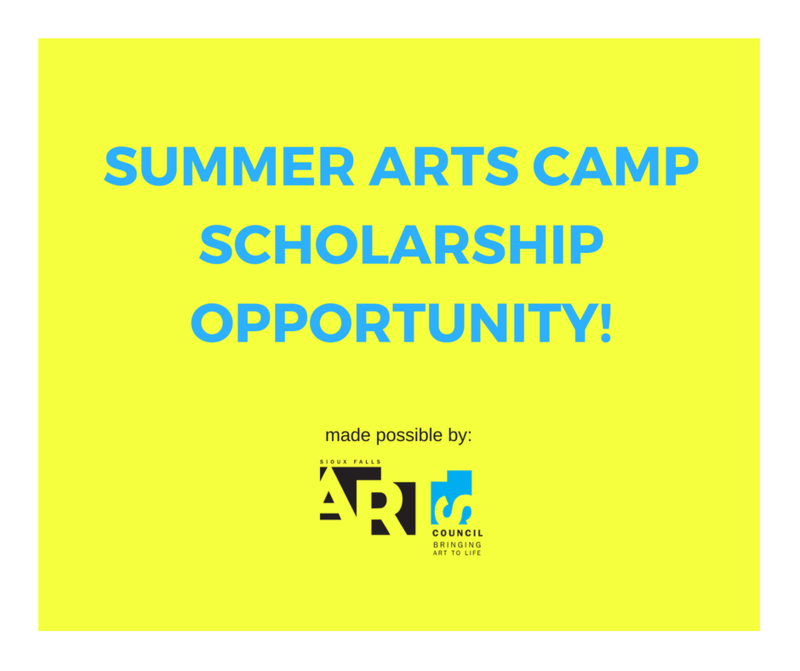 To that end, we seek to reimburse organizations that provide summer arts programming for children between the ages of 5 and 18 and offer scholarships or tuition fee waivers to children who may not otherwise be able to participate. Limited funds are available. If your organization is interested in applying for reimbursement or if you know of an organization that is deserving of consideration, please email: info@artssiouxfalls.org for details.